Ok ok ok, you know a lot about email marketing and you realize its power. 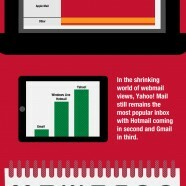 Do you know the trends about inbox on the go? Do you know how many of your subscribers are strictly mobile openers? Do you optimize your mails for mobile devices? Enough – click and learn about the email revolution!